2012 is not looking to good for consumers. The year is not even halfway over and already, smartphone users are being hit by an onslaught of hack attempts. 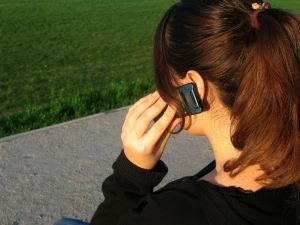 In fact, some security experts forecast 2012 as “The Year of the Smartphone Hacker.” Smartphone users face a lot of risks. From infected apps to spyware to trojans targeting their bank information, many users are oblivious to the risks they run when using their nifty mobile devices. For example, more than 45 percent of Canadians have a smartphone yet most of them don’t protect their information from cybercriminals. According to Derek Manky, Fortinet’s security expert the naivete of many consumers puts them at risk. He compared the impending explosion of smartphone security threats with an earlier boom of malware infestations for the PC in the early 2000s. He said that we are already seeing the tip of the smartphone hacking iceberg with increasing reports of Android phone hacking. Two years ago, Fortinet published 47 types of malware that attacks Android phones and tablets. Just this past year, Fortinet’s list blew up to 4000 malware types. That number marks an astonishing 8500 percent explosion within one year. Most of the malware attacks involved apps that were infected. Manky said that hackers would repackage an existing application like Angry Birds so the malicious code piggybacks on a legitimate application. Once repacked, they then spread the package with a malicious payload. How bad can it get? Smartphone malware can approve pricey text messages, send your bank information to hackers, and steal your contact list information, among many other activities. In fact, some malware can even relay your SMS messages to the hacker spying on you. The resulting invasion of privacy can be devastating. Moreover, the remote hacker can even turn on your phone’s camera and audio feeds and send it to a remote location-in essence, turning your phone into a spying device. How can consumers protect themselves? Before you buy an app, look for reviews and see if it is a real app. Malware is more prevalent with Android phones since Apple’s system is more proprietary. Since iPhone users can only source apps from the more tightly controlled iTunes app collection, there were only 17 iPhone malware types detected since 2010. Regardless, consumers should be proactive and keep in mind that hackers are always looking for ways to get into their smartphone. Consumers should always password protect their units and keep their phone’s operating system software updated.